It is 1903. A lame and frail Malangana – ‘Little Suns’ – searches for his beloved Mthwakazi after many lonely years spent in Lesotho. Mthwakazi was the young woman he had fallen in love with twenty years earlier, before the assassination of Hamilton Hope ripped the two of them apart. Intertwined with Malangana’s story, is the account of Hope – a colonial magistrate who, in the late nineteenth century, was undermining the local kingdoms of the eastern Cape in order to bring them under the control of the British. It was he who wanted to coerce Malangana’s king and his people, the amaMpondomise, into joining his battle – a scheme Malangana’s conscience could not allow. 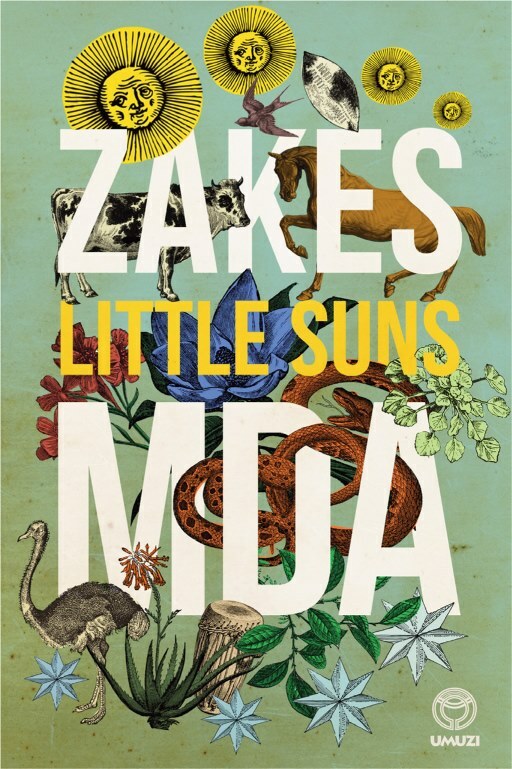 Zakes Mda‘s fine new novel Little Suns weaves the true events surrounding the death of Magistrate Hope into a touching story of love and perseverance that can transcend exile and strife. Zakes Mda is the author of the novels Ways of Dying and The Heart of Redness, among many others. 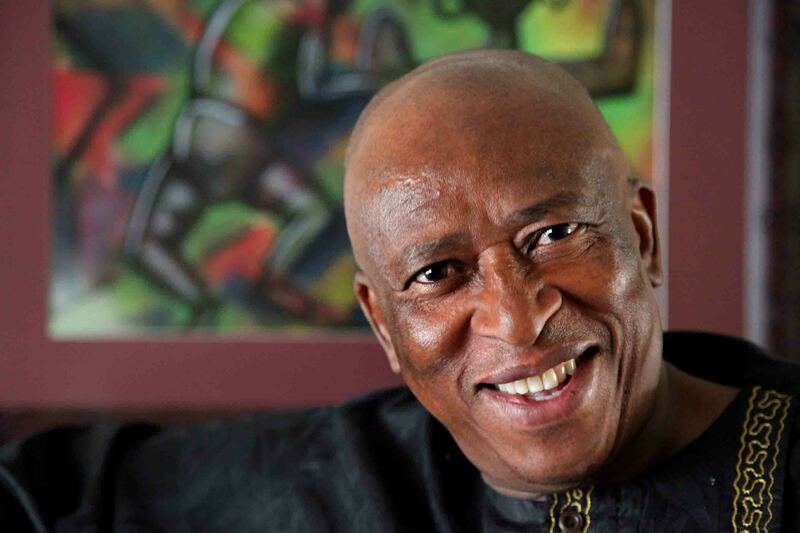 He was born in the Eastern Cape, but spent his early childhood in Soweto, finishing his school education in Lesotho. He is a prolific writer of novels, plays, poems and articles for academic journals and newspapers, and his writing has been translated into twenty languages. His creative work also includes painting, and theatre and film productions. Mda, whose forebears were exiled from Qumbu to Lesotho after the assassination of Hamilton Hope, is a recipient of South Africa’s Order of Ikhamanga. 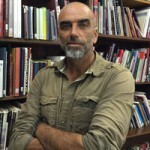 He is based in Athens, Ohio, where he spends his time writing and teaching. 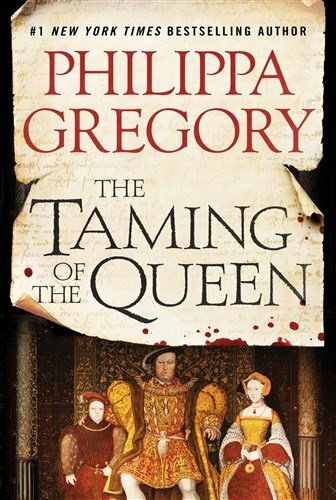 By the #1 New York Times bestselling author behind the Starz original series The White Queen, a riveting new Tudor tale featuring King Henry VIII’s sixth wife Kateryn Parr, the first English queen to publish under her own name. 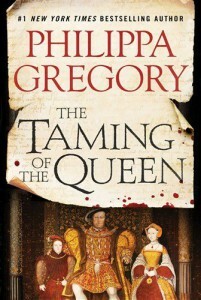 From an author who has described all of Henry’s queens comes a deeply intimate portrayal of the last: a woman who longed for passion, power, and education at the court of a medieval killer. Philippa Gregory is the author of several bestselling novels, including The Other Boleyn Girl, and is a recognized authority on women’s history. Her Cousins’ War novels are the basis for the critically acclaimed Starz miniseries The White Queen. She graduated from the University of Sussex and received a PhD from the University of Edinburgh, where she is a Regent. 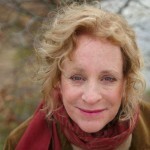 She holds an honorary degree from Teesside University, and is a fellow of the Universities of Sussex and Cardiff. My Grandfather Would Have Shot Me by Jennifer Teege is the extraordinary and moving memoir of a woman who learns that her grandfather was Amon Goeth, the brutal Nazi commandant depicted in the film Schindler’s List. Here are five reasons why you need to read her mesmerising story. 1. An incredible discovery. Jennifer Teege’s story is one of incredible and devastating discovery. Adopted aged 7 she grew up knowing little about her birth mother and grandmother, although she still spent time with them occasionally. It was only when she happened by chance to pull a book from the shelf in Hamburg Library that she discovered the truth. The book was about her mother and grandparents. Slowly, Jennifer realised that she was the granddaughter of notorious Nazi and concentration camp commandant Amon Goeth, portrayed by Ralph Fiennes in Schindler’s List. Jennifer realised that she, a mixed-race German woman, was the granddaughter of this monstrous and brutal man. 2. An untold story. To Jennifer, and many others who have watched Steven Spielberg’s Schindler’s List, Amon Goeth’s character was evil personified. But as Jennifer read more of the book about her birth family, she begins to grasp that the Amon Goeth in the film is not a fictional character, but a person who really existed. A man who killed innocent people, and worse, a man who enjoyed it. Jennifer learns that her grandfather would shoot Jewish prisoners at random from the balcony of his house next to the camp. And he trained his two dogs to attack and kill people on his command. And equally shocking is the fact that the grandmother Jennifer remembers as a warm and loving figure from her childhood, lived in the house with this man and bore witness to it all. 3. A personal journey. Jennifer’s discovery throws her into a deep depression – the greatest struggle of her life so far. It causes her to question who she is and what she knows about her family and her past. She questions everything that has been central to her life: her close relationship with her adoptive family, her friends in Israel, her marriage, her two sons. Has her whole life been a lie? What is her identity now? She feels she has travelled under a false name, and betrayed everyone she knows, when in fact it is she who has been betrayed. How can she process this terrible truth and continue to live her life as normal? 4. Finding redemption. Jennifer is determined not to let her grandfather and his terrible deeds define her. But before she can face her family and friends, particularly her Jewish friends and the people she met whilst studying in Israel, she must go on a difficult personal journey. Her memoir charts this journey, from Jennifer’s visit to PÅ‚aszów concentration camp where Amon Goeth brutally murdered so many Jewish prisoners, to the house next to the camp, where Jennifer’s beloved grandmother lived alongside the Nazi commandant. Jennifer reconnects with her mother, the woman who gave her up for adoption and hid their shared and painful past. Only then is she able to move on and travel to Israel to see her friends again. 5. A different perspective. As the Holocaust historian Raul Hilberg said, ‘in Germany, the Holocaust is family history’. Anybody related to a notorious Nazi, as Jennifer Teege discovered that she was, is compelled to deal with their family’s past. But the same is often true of those related to ordinary Germans, who stood by during the years in which terrible atrocities were committed against the Jews. Guilt cannot be inherited, but feelings of guilt can. And this can often be particularly difficult for grandchildren of the wartime generation. They did not grow up in the culture of silence immediately following the war, as their parents did. 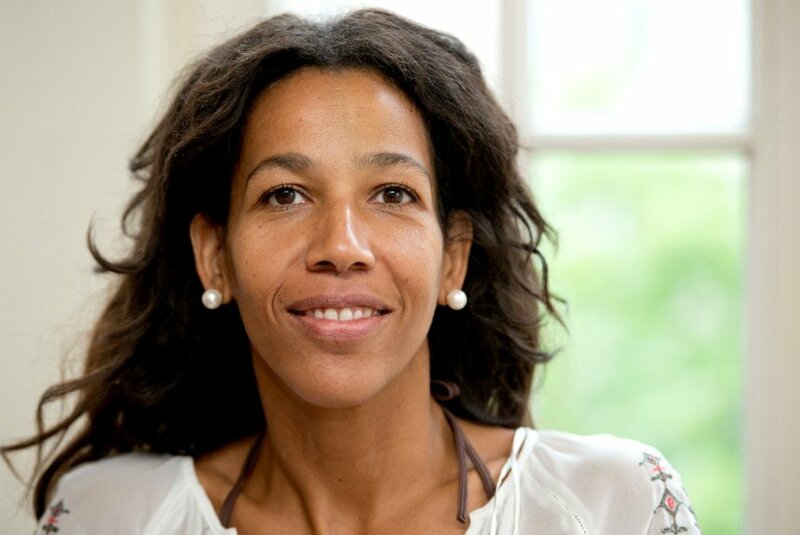 Today’s 30-50 year olds are not afraid to speak about the Nazis and the terrible things that happened on their grandparents’ watch – or in fact the acts their grandparents committed themselves, as in Jennifer Teege’s case. They must deal with these issues head on. 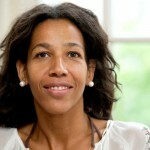 Jennifer Teege has worked in advertising since 1999 and lives in Germany with her husband and two sons. In her twenties, she studied for four years in Israel, where she learned fluent Hebrew. 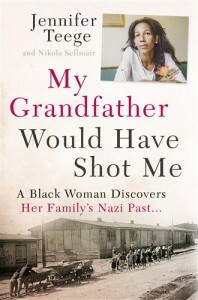 A mixed-race woman raised by adoptive German parents, she was appalled to discover her biological family’s Nazi history. Her compelling true story is stranger than fiction. 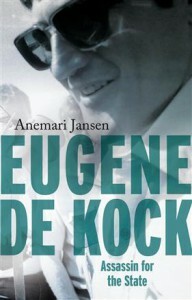 She first met De Kock in 2011 while he was incarcerated and went on a journey to get to know De Kock as a person and to better understand the events during the apartheid years. Her research took her to all the corners of South Africa and brought her into contact with many former members of Koevoet and Vlakplaas. On 21 May 1980, under the codename Operation Tiro-Tiro, 32 Battalion attacked and routed a FAPLA brigade at Savate, a small town 75 kilometres inside Angola. Fifteen members of 32 Battalion were killed in the action and many more wounded. It was the highest South African casualty rate in a single skirmish since the start of the Border War. 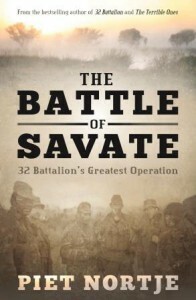 Overall, however, Savate was a significant victory for 32 Battalion. FAPLA suffered heavy casualties and the invaders captured a great many vehicles, weapons, ammunition and other equipment. Despite the number of casualties, Operation Tiro-Tiro, or the Battle of Savate as it became known, was 32 Battalion’s biggest victory since its formation in March 1976. To this day a remembrance service and parade is held annually to commemorate the battle and to remember 32 Battalion’s victory and the price they paid. Drawing from official documents in the Department of Defence Documentation Centre that have only recently been declassified and from testimonies of soldiers on both sides, The Battle of Savate is the definitive account of one of the greatest battles of the Border War, describing in detail the operation, its motivation and planning, its achievements and failures, and vividly recreating the experience of what happened on the ground. 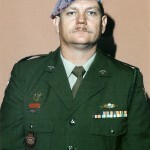 Piet Nortje joined the SADF Permanent Force in 1978 and rose rapidly through the ranks in 32 Battalion. In 1985 he was appointed as the unit’s Regimental Sergeant Major, the youngest RSM ever in the SADF. Although his involvement with 32 Battalion came to an end in 1988, he continued to serve in the SANDF until his resignation in 2005. He is now a major in the United Arab Emirates Armed Forces. His previous books are 32 Battalion and The Terrible Ones. What happens when we approach archaeology from the perspective of an interest in visualities? Does it make sense to talk about an archaeological aesthetic? What part has a specifically archaeological concern with material cultures, objectified bodies and sites on the landscape played in a local history of looking? 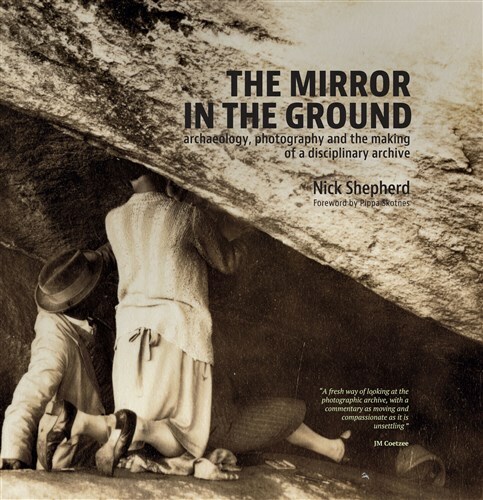 Drawing from the archive of the South African archaeologist John Goodwin (1900–1959), this book interrogates the role of photography in the making of a disciplinary project in archaeology. Nick Shepherd is Associate Professor of Archaeology and African Studies at the University of Cape Town, where he convenes a graduate programme on Public Culture and Heritage. He has been a Mandela Fellow at Harvard University, and a Visiting Professor at Brown University and at the University of Basel. From 2004-2012 he was the editor of the journal Archaeologies: Journal of the World Archaeology Congress. 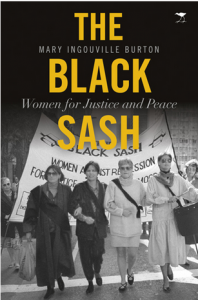 An insider’s blow-by-blow account of the release of Nelson Mandela and dismantling of apartheid by the ambassador who was in the midst of these events. 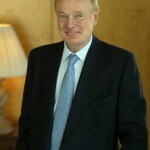 Appointed to South Africa as Margaret Thatcher’s envoy, Lord Renwick became a personal friend of Nelson Mandela, FW de Klerk and Mangosuthu Buthelezi, acting as a trusted intermediary between them. He describes meetings with PW Botha, warning him against military attacks on the neighbouring countries and arguing for lives of the Sharpeville Six, as ‘like visiting Hitler in his bunker’. He persuaded Margaret Thatcher to descend on Windhoek in support of the Namibia agreement. 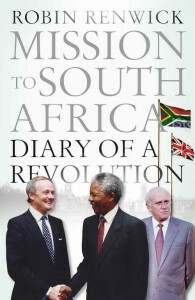 His close relationship with FW de Klerk helped him to get international support for his reforms. On the eve of his epoch-making speech to Parliament of 2 February 1990, De Klerk told him: ‘You can tell your Prime Minister she will not be disappointed’. 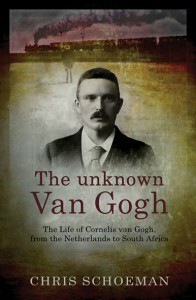 He paints a vivid portrait of Mandela (‘far wilier, and a bit less saintly than others have portrayed him’), describing his meetings with him immediately after his release, inviting him to his first meal in a restaurant in Johannesburg for 27 years, rehearsing him for his meeting with Margaret Thatcher – and telling Thatcher that she must not interrupt him! The iron lady warmed to her visitor, but told him to ‘stop all this nonsense about nationalisation’. The Mandela charm worked no less effectively on the Queen, who he took to calling ‘Elizabeth’ and persuaded to dance with him in the royal box in the Albert Hall. Lord Renwick of Clifton was British ambassador to South Africa during the period leading up to the release of Nelson Mandela. On leaving South Africa, on the proposal of Helen Suzman, he was awarded an honorary degree by the University of the Witwatersrand for services to the struggle against apartheid. Previously, he was adviser to Lord Carrington during the Lancaster House negotiations, which ended the Rhodesia conflict, and to Lord Soames as the last governor of Rhodesia. He served subsequently as British ambassador to the United States. Mozart’s music has enthralled listeners for centuries. 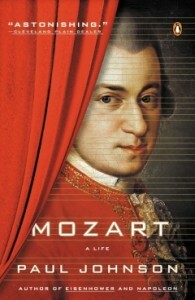 In this brilliant biography, acclaimed historian Paul Johnson draws upon his expert knowledge of the era and Mozart’s own private letters to conjure Wolfgang Amadeus Mozart’s life and times in rich detail. Johnson charts Mozart’s life from age three through to his later years—when he penned The Marriage of Figaro and Don Giovanni. Along the way, Johnson challenges some of the popular myths that cloud Mozart’s image: his allegedly tempestuous personal relationships and supposedly bitter rivalry with Salieri, as well as the notion that he was desperately impoverished when he died. The result—a bold, invigorating portrait of one of the most popular and influential composers of all time—is a welcome addition to Johnson’s extraordinary body of work and makes a perfect gift for classical music lovers and fans of biographies. 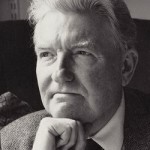 Beginning with Modern Times (1985), Paul Johnson‘s books are acknowledged masterpieces of historical analysis. 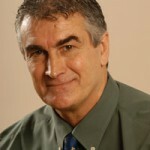 He is a regular columnist for Forbes and The Spectator, and his work has also appeared in The New York Times, The Wall Street Journal, and many other publications.